AirBnb in Cuba is making a huge difference in Cuba travel.This may turn out to be a big success story in helping the Cuban people. 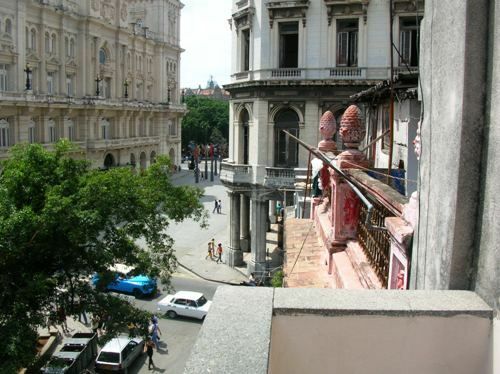 Cuba’s Casas Particulares (homes and rooms for rent) were already a huge business in Cuba. There are some 20,000 private homes already available for rent. The problem, however, was the lack of ways to advertise them and the lack of locally available internet connection. (Internet connections are not allowed to most Cubans. See my post on this). There might be thousands of rooms available for tourists, but finding them and renting them was not an easy task for travelers. Several small websites help rent them, but they only reached a few percent of those available. The entire story of AirBnb in Cuba is here in Fortune. There was already a huge supply of rooms for rent in Cuba. They are called “Casas Particulares.” These rooms being already registered in Cuba with taxes, regulations and registries in place made it easy for AirBnb to come in and sign up about a fifth of the existing homes. You can now easily log into your AirBnb app and sign up to rent a home or efficiency in Cuba. You now have more options than just staying with other tourists in big hotels, or worse yet staying in budget Cuban hotels. Cuba is a tough place to accomplish anything. Cubans are not even guaranteed reliable access to running water, electricity or food. Their access to internet and American payments was virtually non-existent. This partnership with AirBnb is a definite Win-Win situation for Cubans, American travelers and the company bringing these two groups together. The Cubans get a way to advertise their rooms to Americans and AirBnb handles the booking, payments, etc. This truly fits with the US goal of People-to-People visits. What AirBnb’s CEO and co-founder, Mr. Brian Chesky, loves most about the country, he says, is that it’s so authentic. “This is exactly what you’d think it is,” he marvels as he takes in Havana’s paint-chipped colonial buildings. “Whenever you see a picture of a place and then you actually go there, it never looks like the picture, or only one street looks like that. We’re about allowing you to feel like you live in a community, even if it’s just for a few days,” he says. See my page on Cuba Accommodations for hotel, resort and casa options in Cuba.